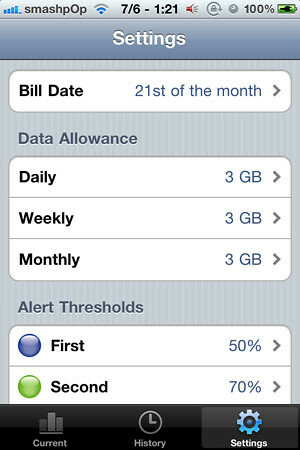 Ever wondered how much data you have used on a particular month? I’m sure there are times when you are downloading an app and worries if your data limit has been exceeded. Fret not! DataMan is here! The most powerful and precise weapon against data overage charges! DataMan monitors and manages your data usage in real time, closely tracking your data activities. No other apps come close to DataMan for its precision. The advanced technologies and features in DataMan help you make smarter decisions to manage consumption, stop overage charges and save money. I think this app measures data usage very previsely and I have been trusting it for a year already. 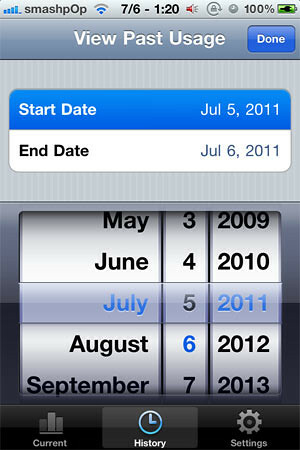 Love how it lets us set which date our bill starts everymonth, then the app will refresh everytime that date comes. We can also check out how much data we have used on any period of time, or a certain day. 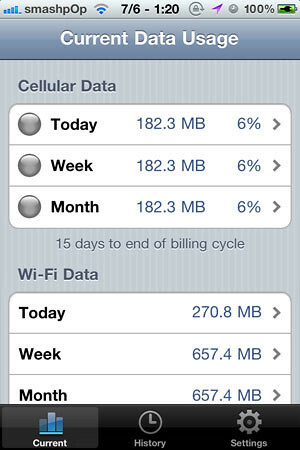 Usage details is presented in 2 categories: WIFI Data & Cellular Data. Check out DataMan now! Don’t get cheated by your telcos anymore!